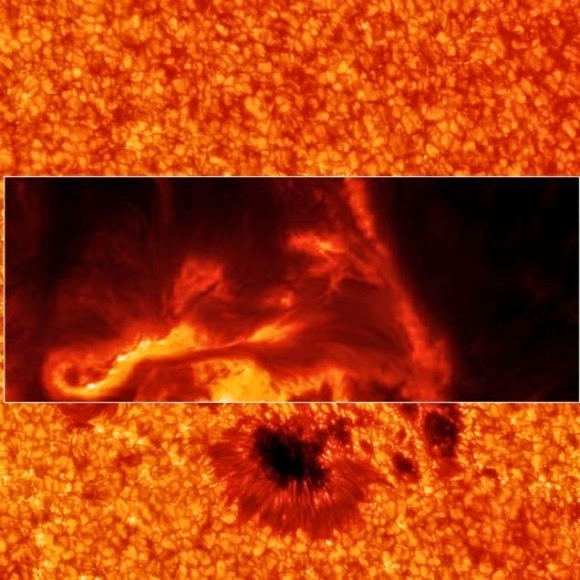 NASA says that the March 29, 2014 X-flare on the sun encouraged the best detailed observations of a solar X-flare in history. Four solar telescopes in space, and one on the Earth, took rich data that will help scientists better understand what causes flares. The observatories that observed the March 29 solar flare include, NASA’s Interface Region Imaging Spectrograph (IRIS), NASA’s Solar Dynamics Observatory (SDO), NASA’s Reuven Ramaty High Energy Solar Spectroscopic Imager (RHESSI), The Japanese Aerospace Exploration Agency’s Hinode and the National Solar Observatory’s Dunn Solar Telescope situated at Sacramento Peak in New Mexico.